There wis yince a troll that steyed ablow a brig. (That's jist whaur trolls are meant tae stey. )Meanwhile, awa oot tae sea, there wis some pirates that steyed in a ship. (And that's jist whaur pirates are meant tae stey. )Trolls, they say, are meant tae eat goats, but nae goats cam teeter-totterin ower this troll's wee brig. Sae he ate fush insteid.So begins this hilarious tale of the adventures of a bunch of incompetent pirates who can't cook, and a crabbit auld troll who can. 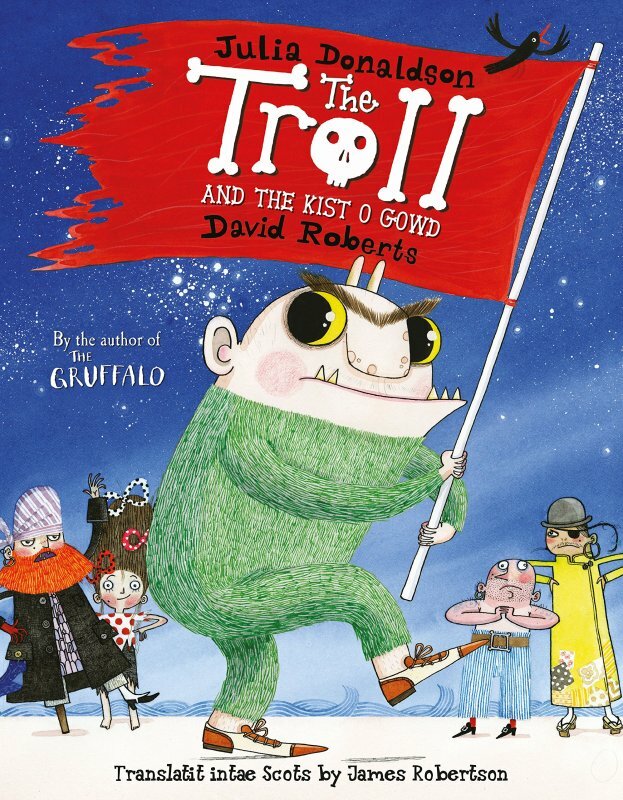 Their lives seem very far apart: the troll, whose favourite dish is goat, tries and fails to eat the creatures crossing various bridges he hides under; the pirates, who like to eat fish, try and fail to find buried treasure. But by a series of coincidences their paths cross - with dramatic consequences!